my husband calls me the queen of zen so there is no question that i take my bedroom (mostly my bed) very seriously. 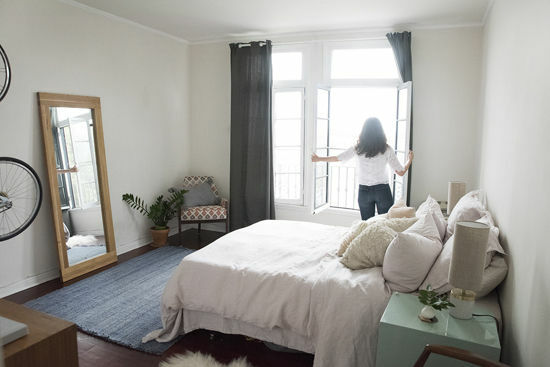 we live in a small apartment in los angeles where every square foot counts so we’ve focused on keeping our space simple and classic. i fell into parachute sheets last year when we received a set as a wedding gift and i’ve never looked back. their sheets are the softest, best quality and never treated with chemicals. 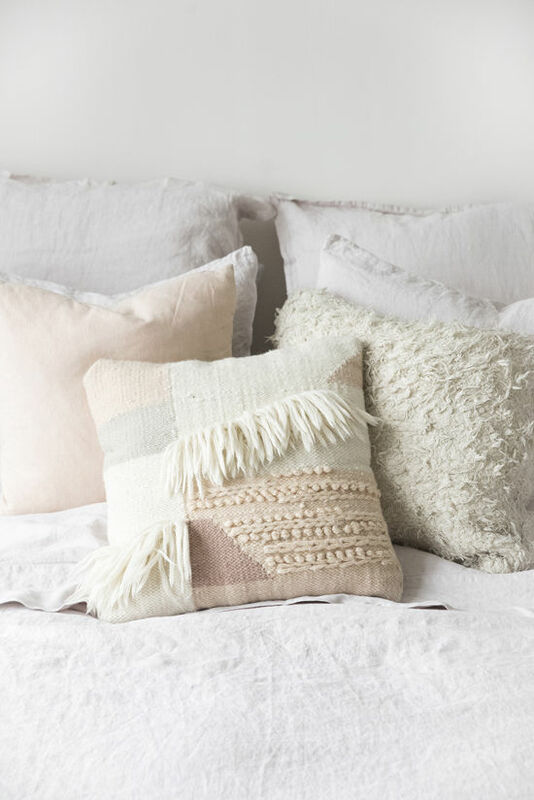 they’ve since become the DLF office favorite so when they asked us if we wanted to announce the launch of their new blush line of linens the answer was a resounding yes. their sheets are garment washed so the color is subtle and reads differently depending on the light. not even my husband minded the pink hue. we already had a lot of color going on in our room but i love how the pink tied in with the chair in the corner and the mint side tables. i also love that all of their pillowcases have a back envelope closure – it makes the bed look that much more pulled together without the extra fabric. we previously had the white sateen sheets on our bed and the accent pillows perfectly transitioned to the new sheets (pillow on the right is from NOON, center pillow from Minna, and far left is one we picked up in Argentina). so there you have it, our tiny piece of bedroom heaven! they also just started making towels which bri has been raving about. (bri chiming in here, get the towels for real, i love them) i’ve added them to my birthday list! 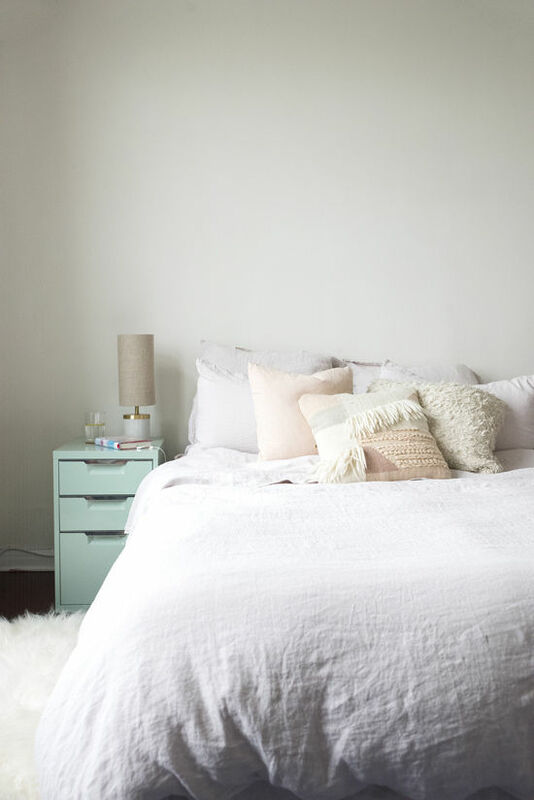 what’s your secret to a zen bedroom? i’m always looking for new ideas! (this post is sponsored by parachute, a home textile company that we love and support). where are those cute lamps from? I love it! hey lily, the lamps are from a store in los angeles called sunbeam vintage. they are vintage replicas so i think they have more! 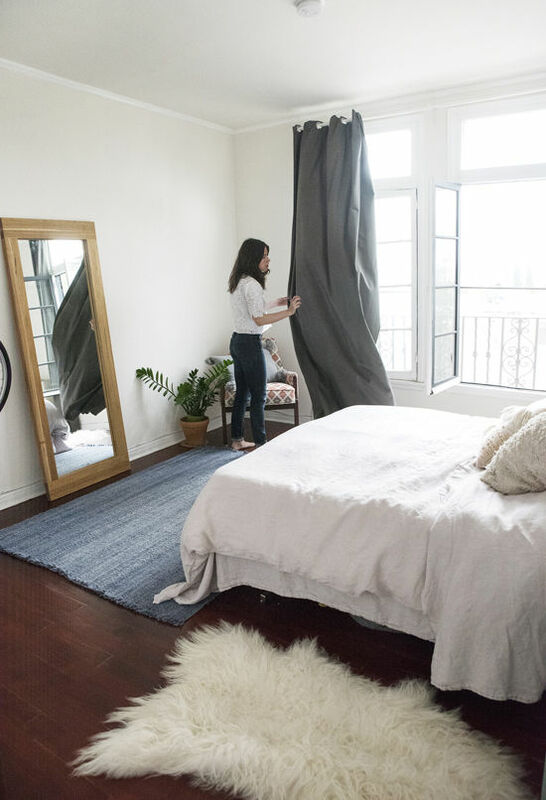 Wow…I really need to take some inspiration from your whole room!! It’s so light and beautiful! Your bedding looks just like a cloud!! 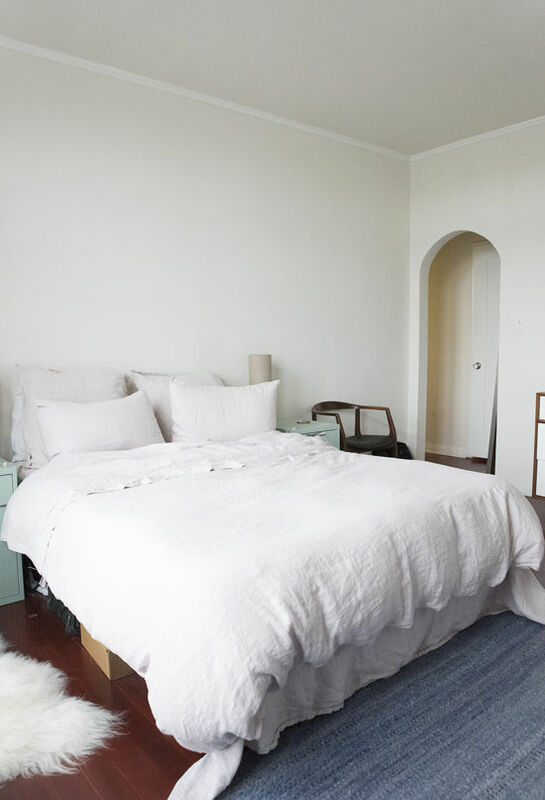 Where are those awesome nightstands from? hey katie, they are from CB2! Love Parachute sheets and towels! 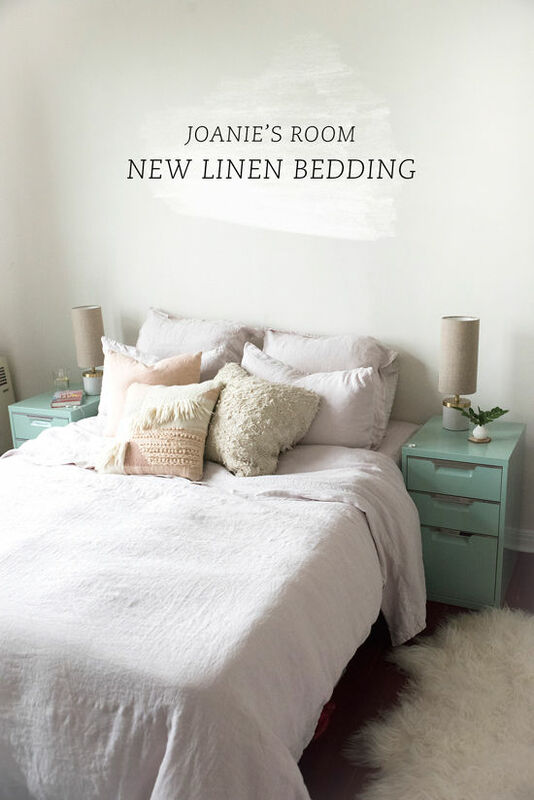 I haven’t tried the linen sheets yet- love the blush color! Great color, works so well with the pops of mint green! 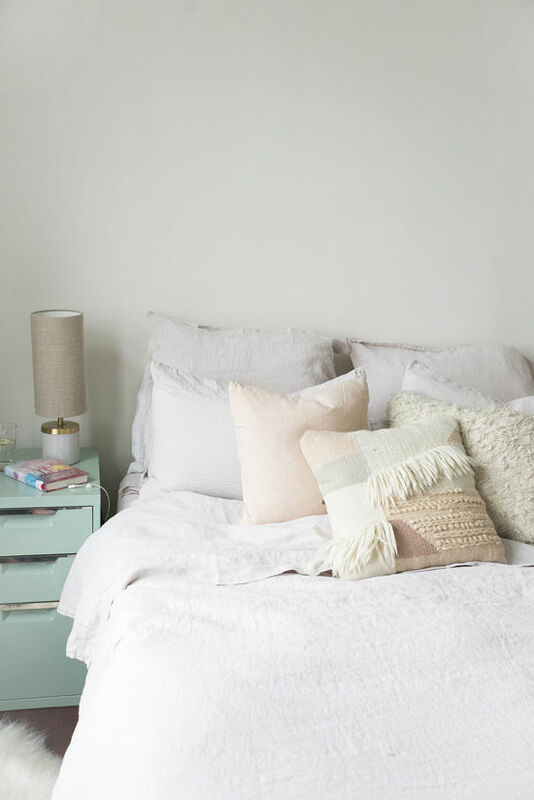 The secret of a zen bedroom is tidiness,not too many things, light colors like the one you used. Some say for not put a tv but I for not to for this. I watch tv from the bed, lol!!! Great room Joanie. Kissse! thank you! i love Minna pillows, all of her designs are so cool! I’m trying to decide between the sateen or percale sheets from Parachute. Any thoughts? i have the sateen and linen but i know people who have the percale and love them! i think the percale is more breathable for warm nights and the sateen seems a little heavier! 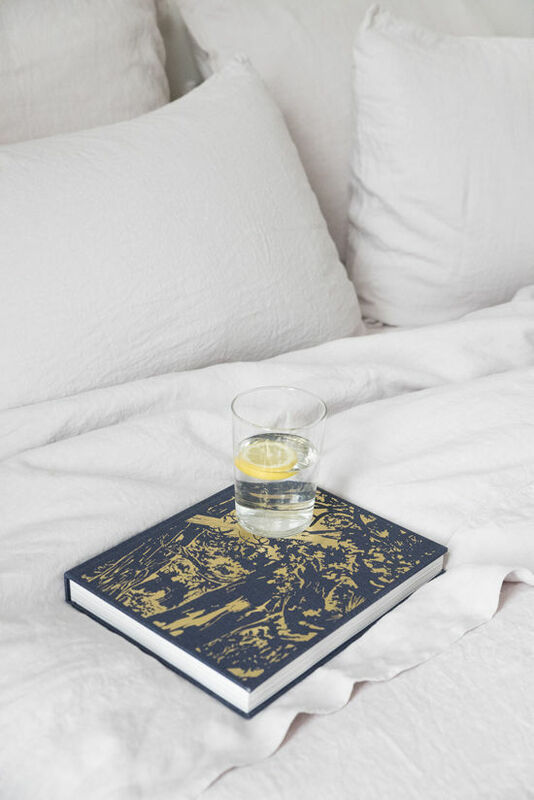 if you’re using them as summer sheets i’d go with percale! What a lovely idea! 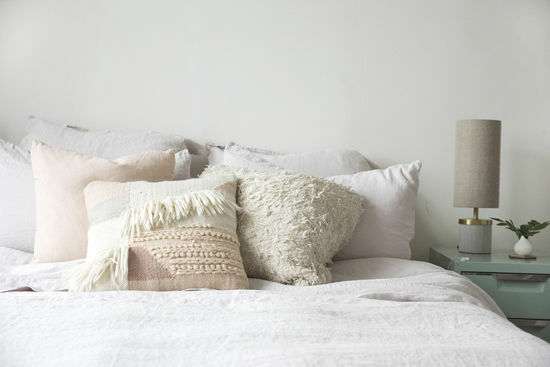 The way of designing the bedroom with bedding and linen just awesome. I Love it. Here are some discounted bedding and linen: http://www.brownsofweston.co.uk/brands/sanderson-bedding, Offer limited.